The General Ledger (GL) is the central repository for your financial information that includes your chart of accounts, financial periods, ledgers, allocations, and more. Entries can be made directly into the GL or they can be made from other application modules and then posted to the GL module. 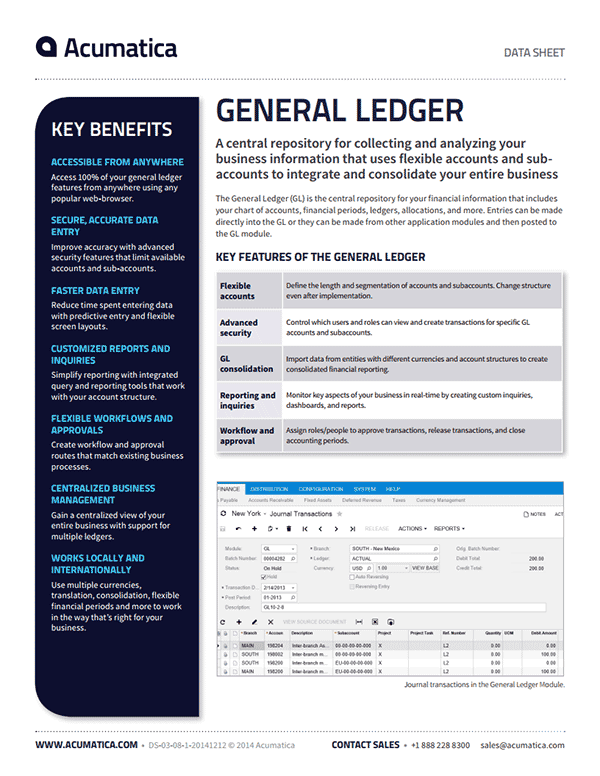 Download the General Ledger datasheet to learn more.